We first want to thank Fox News for FINALLY reporting on a subject that has been highly censored by the mainstream media for the past 5+ years, the situation in Fukushima, Japan is completely out of control. While Fox News recently reported that radiation levels at Fukushima were now at ‘unimaginable levels’ more than 5 years after the disastrous earthquake and tsunami struck, as Steve Quayle asked in an SQNote he left while linking to that story, why has the mainstream media been silent all of this time? We've long believed that ‘reality’ has a way of ‘awakening’ everybody and the stories recently coming across the wire over at ENENews have been mind-numbing the last few weeks to say the least. 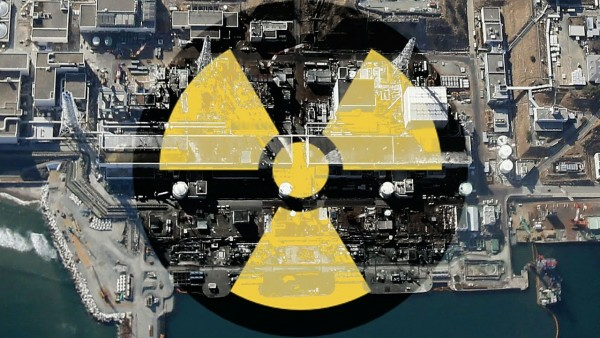 You can hear the Fox News report on Fukushima in the 1st video below while in the 2nd video, Mike Adams over at Natural News gives us a new update on the ‘Fukushima radiation apocalypse’ that has been steadily spewing poisons into our atmosphere for almost 6 years now with hardly a peep from the MSM. As Adams tells us in his video, the sustainability of all life throughout the Northern hemisphere is in danger and the entire MSM up until now has been in a complete blackout mode except for this recent reports. Do CNN, MSNBC and the rest of them think that if they DON'T report upon Fukushima, what's happening to the fish and our oceans is ‘fake news’? 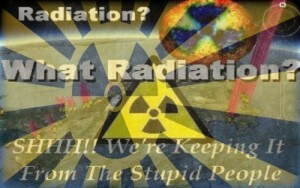 Do they think that because we can't actually SEE the radiation, it's not really there? 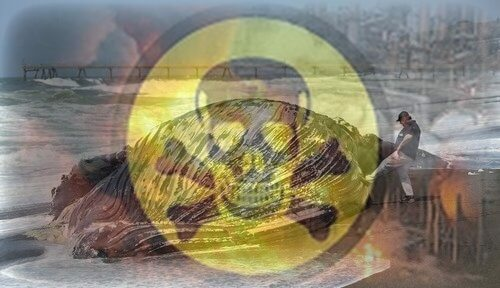 The MSM's failure to report upon Fukushima may be the final straw that not only breaks the camel's back but puts that camel out of our misery. Imagine that... ten times higher than the ‘unimaginable levels’ already detected. Is this why the MSM is finally reporting upon Fukushima? As a commenter on the Washington Post story wisely mentions, we're watching a run-a-way train speeding completely out of control and experts have admitted, there is really no way to stop it... and least not in the next several decades. Regarding this forever-lied-about Fukushima tonnage released daily, the problem is two-fold— 1) only a small (yet growing) number of dumbed-down, Facebook and Twitter-absorbed, McDonald’s food-engorging people are even AWARE... yes, after five years... of how serious Fukushima is. It is because the mainstream media doesn't breathe a word about it. 2) the second issue is RAMPANT APATHY, RESIGNATION, AND DENIAL. I sent the bleak and depressing coast-of-Chile sardine kill photos to friends everywhere and not even ONE (we are talking about people your age and mine... about 65... highly successful and intelligent) wrote me back with perhaps a query as to whether it MUST BE radiation from Fukushima or if it MIGHT HOPEFULLY BE El Nino algae “red bloom” choking off oxygen. And the ignorance of the American people in itself is the work of the MSM, neglecting to report upon what could be the most important health story in America and the northern hemisphere today – a story that up until now, has flown completely under the MSM radar. So why would the MSM ‘black out’ Fukushima for nearly 6 years and why are they suddenly reporting upon what's happening there now? In the new story from Mike Adams over at Natural News he reports “there are times when I'm convinced humanity is a suicidal cult of complete idiots whose only real achievement is figuring out increasingly obscene ways to distract themselves from reality.” Adams points out that while most of the nation was fixated on the Super Bowl and Lady Gaga, the Fukushima disaster got much worse... and the MSM remained silent. In the new story from Ethan Huff over at Outbreak. News he reports that according to one liberal college professor, the world will be much better off without 90% of the population. Professor Eric Pianka from the University of Texas claims the Earth is way overdue for a massive die-off. And with much of the left thinking murdering babies is ok, as is ‘expressing their love through violence upon those who don't think like they do’, might Fukushima be the ‘ultimate depopulation weapon’, intentionally unleashed upon ‘the West’, an endless radiological attack upon the Northern hemisphere, one we cannot see nor smell nor taste? Pianka's collective death wish for humanity fits right into the current eugenics plan of limitless abortion, which has become a rallying cry of the political left. Just recently, millions of women marched on Washington, D.C., to demand that they continue having access to abortion clinics where they can murder their unborn babies on a whim — because this is supposedly their right as women.